This DIY wedding idea looks so pretty. 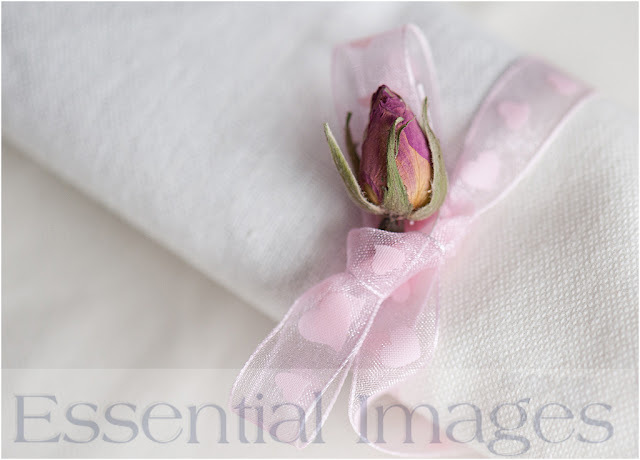 A simple pink ribbon with hearts, tied around the napkin and one rosebud creates an easy and inexpensive wedding table decoration. 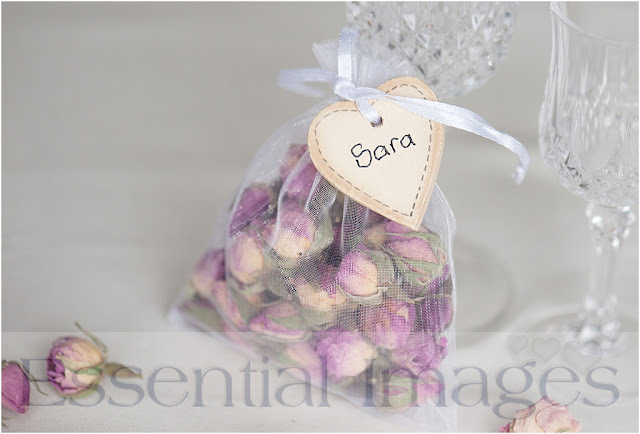 Organza bags with rosebuds are lovely as a wedding favour idea and smell heavenly. The little bags could be used as scented drawer bags or for a little decadence, float the rosebuds in the bath! 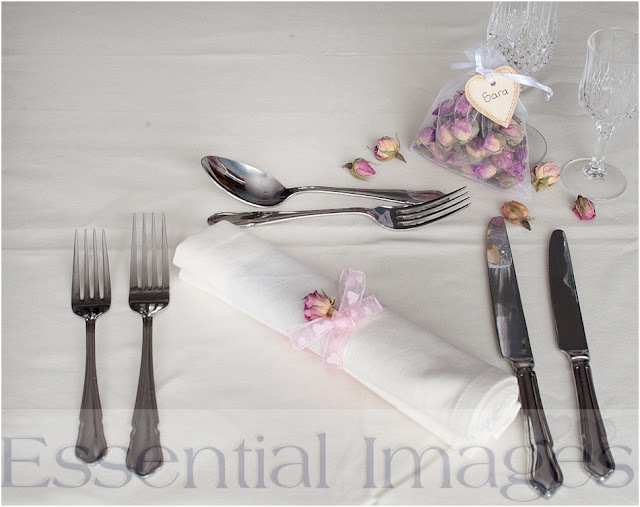 ...And they look so pretty on the wedding breakfast table.